We are a small guide owned and operated company offering whitewater rafting in Idaho. You will enjoy world-class river trips in small groups with unparalleled personal service, a handcrafted quality and attention to detail, organic meals, and one of the most experienced (and friendly) guide staff’s in the world. 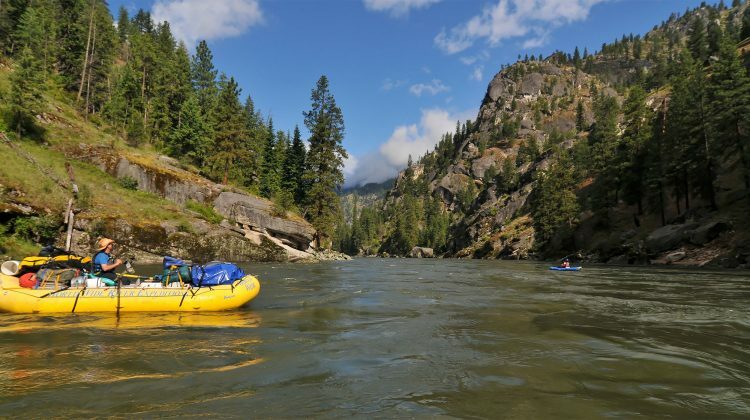 We offer trips on Idaho’s Main Salmon River – a journey through the largest wilderness area in the lower 48 states on a river with a timelessness and mountain grandeur that is matched by few. It is a trip of a lifetime, one of the world’s premier wilderness trips. Whether you’re a first-timer or an experienced paddler, join us for an Idaho river trip like no other! Visit our About Us and Why Momentum pages to learn more. Below is more info on our Salmon River Trip or you can see all our river trips with our interactive rivers map. 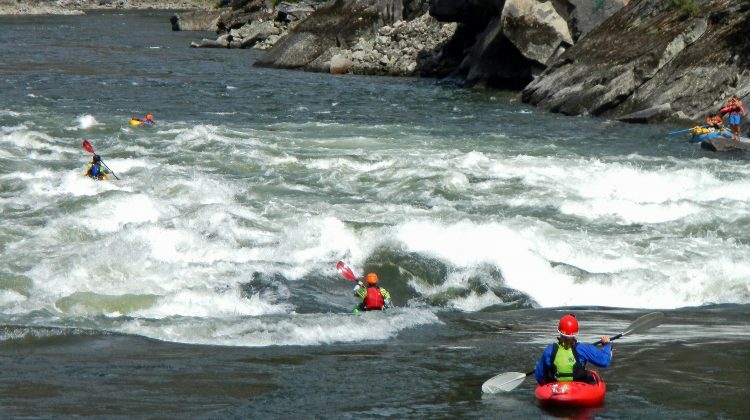 Join the nationally recognized kayaking instructors at DeRiemer Adventure Kayaking and Momentum River Expeditions for guided hard shell kayaking and instruction on the Idaho’s Salmon River - the Grand Canyon of Idaho, is one of the longest free flowing rivers in the United States.